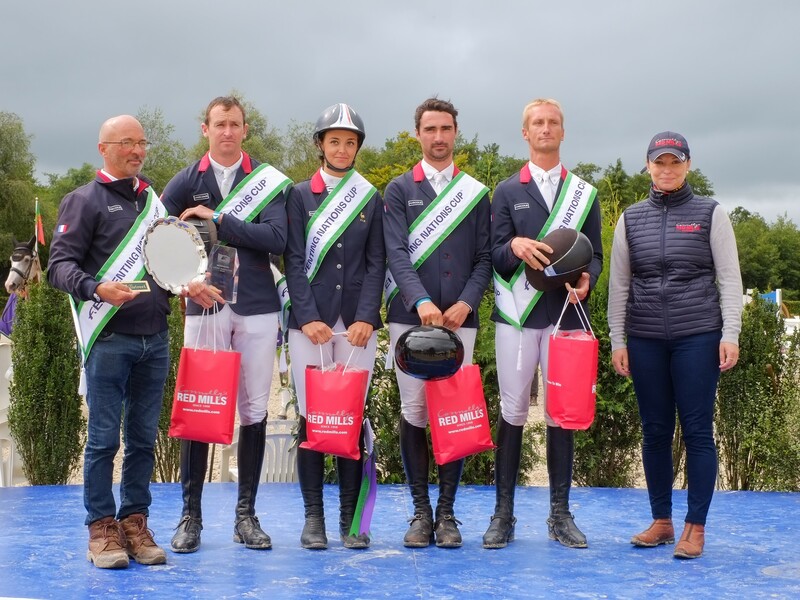 The FEI Eventing Nations Cup in Millstreet, Ireland ended with a victory for France, with Great Britain settling for second and Ireland cruising to an easy third place. Olympic champions France were leading the scoreboard going into the Jumping phase and with only less than one penalty separating France in first place from Great Britain in second for this event, the pressure was tangible. The day got off to a dramatic start when British Chef d’Equipe Philip Surl substituted Francis Whittington (Nimrod II) with Millie Dumas (Artistiek) for the final show-jumping phase. Despite cracking cross country performances the previous afternoon, the 20 penalty points applied for the substitution under the new eventing format for the Tokyo 2020 Olympic Games which was being trialled at Millstreet pushed the team from Great Britain into second.